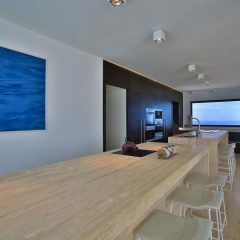 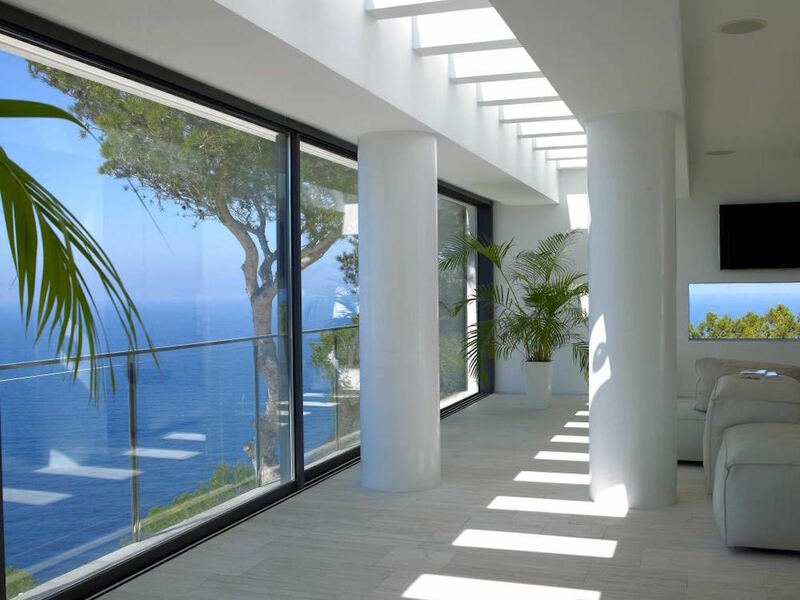 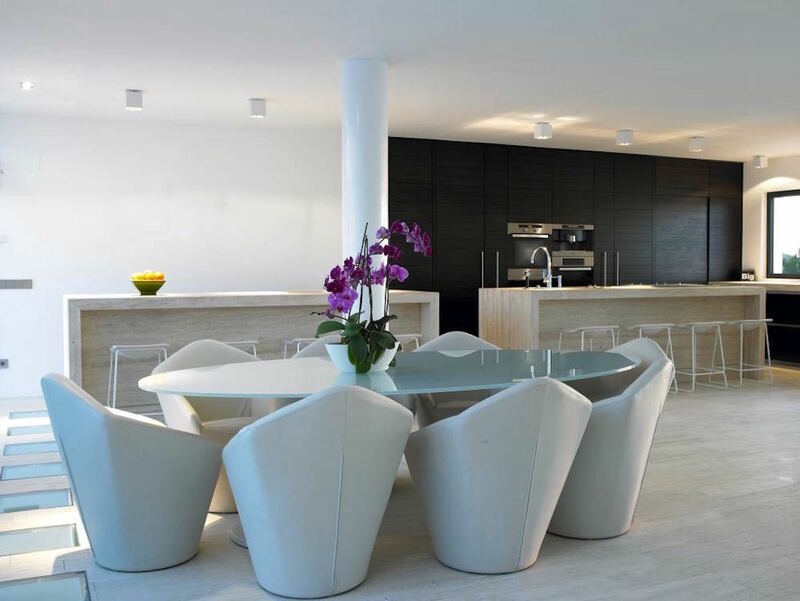 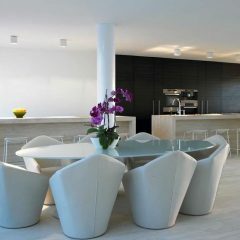 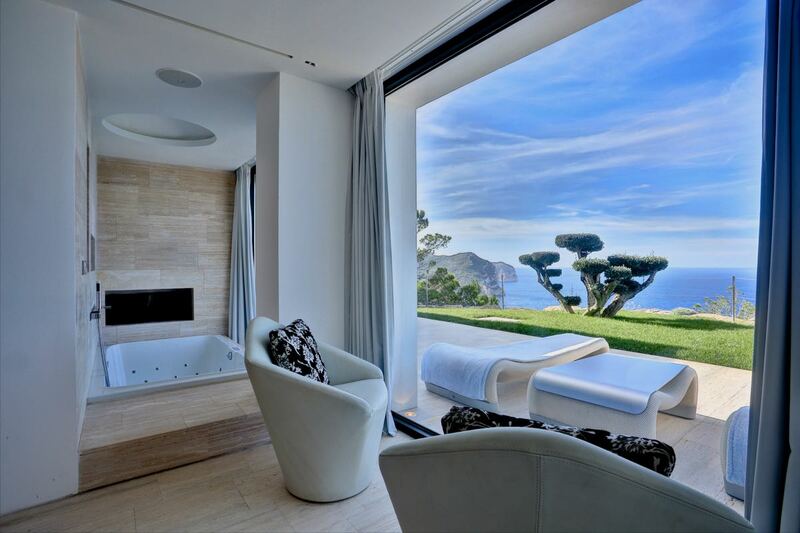 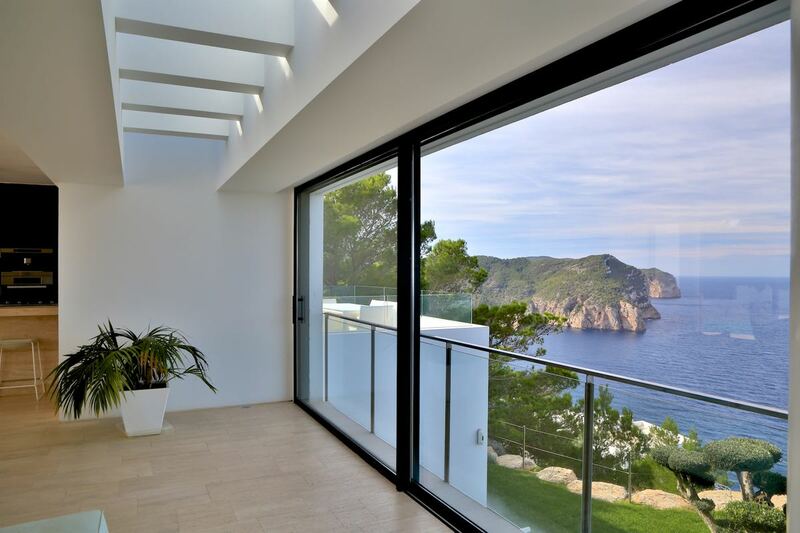 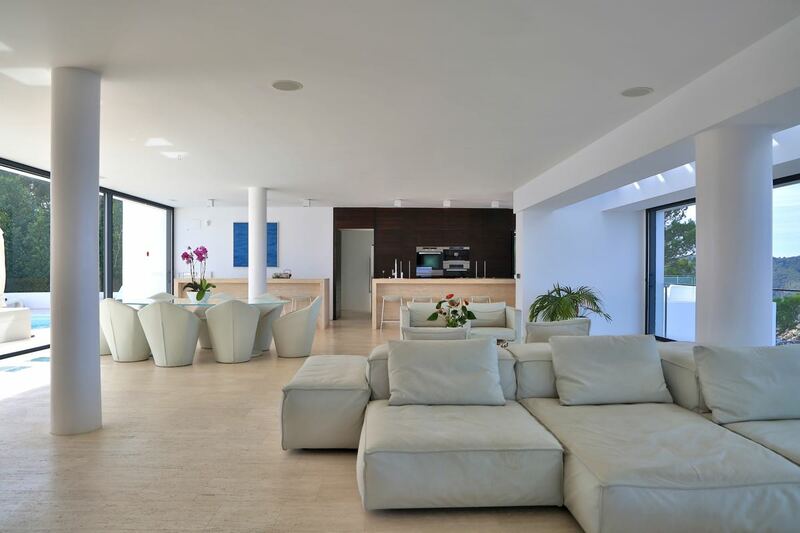 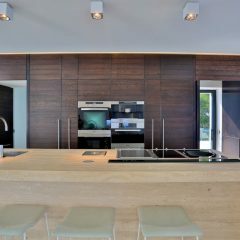 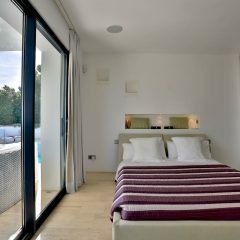 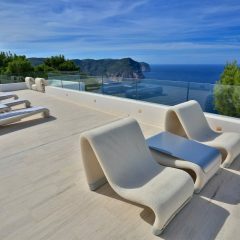 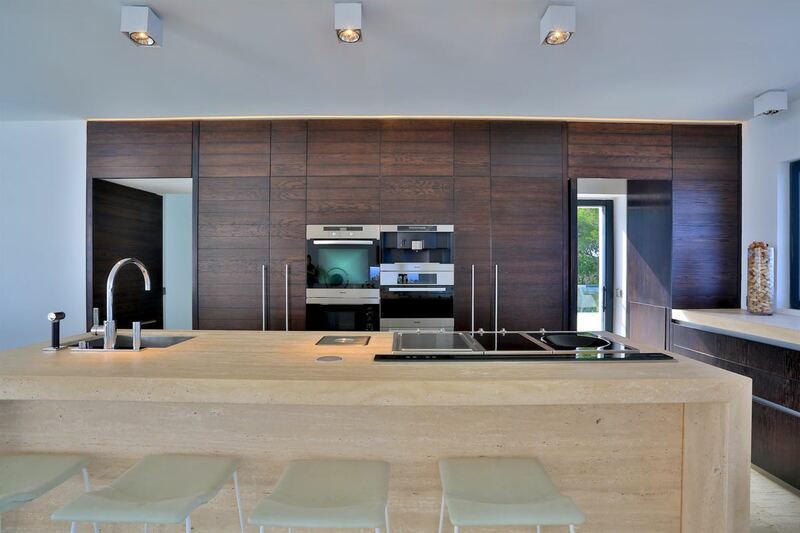 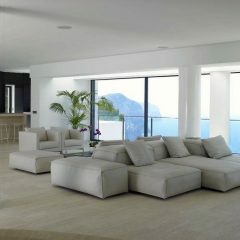 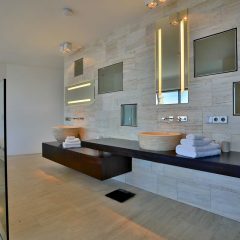 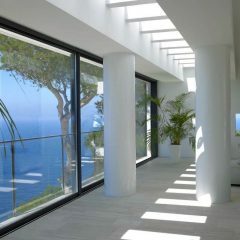 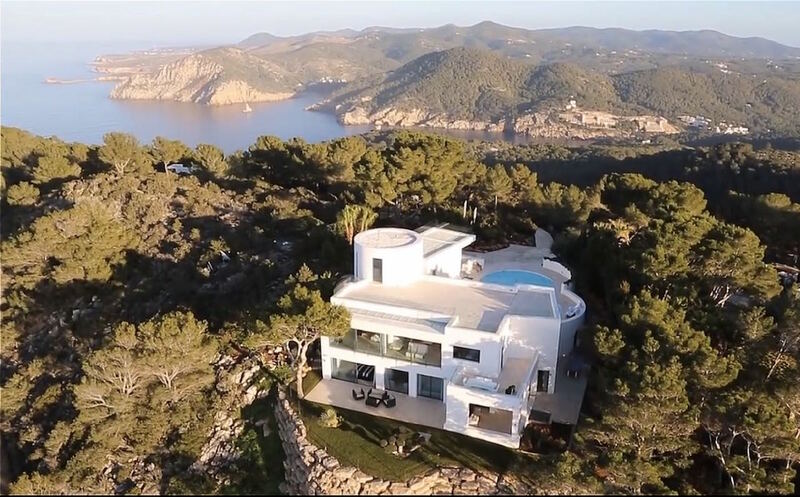 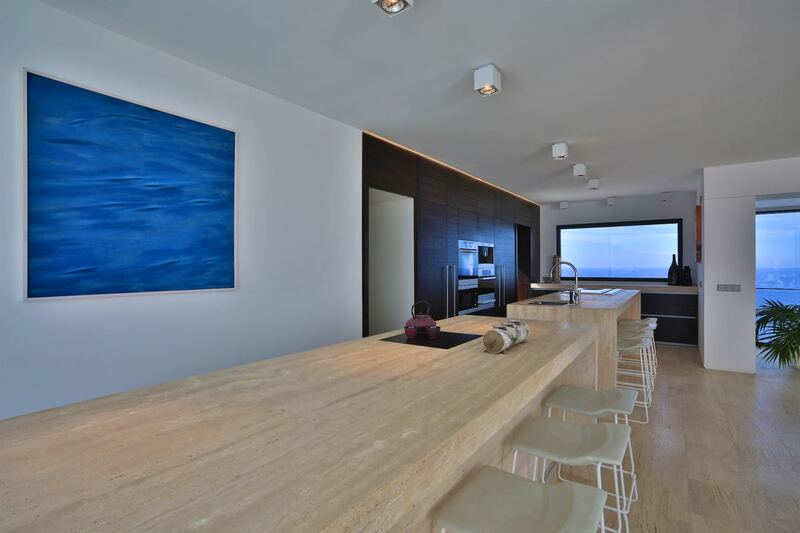 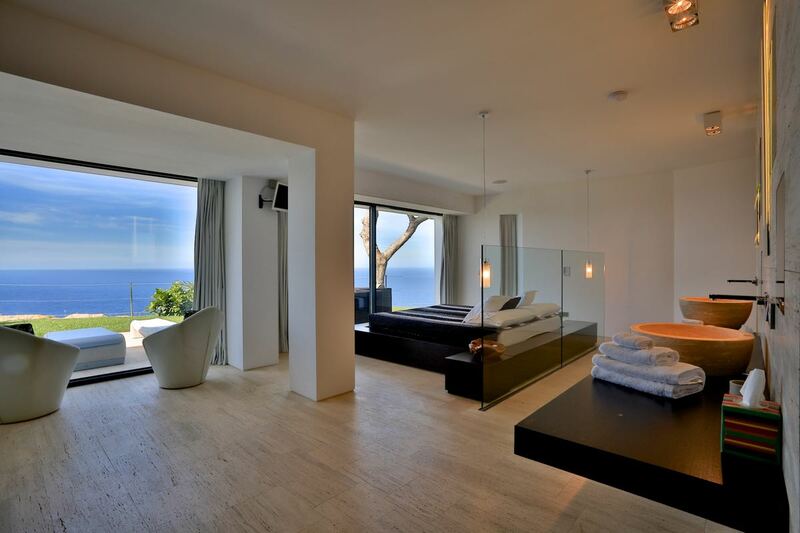 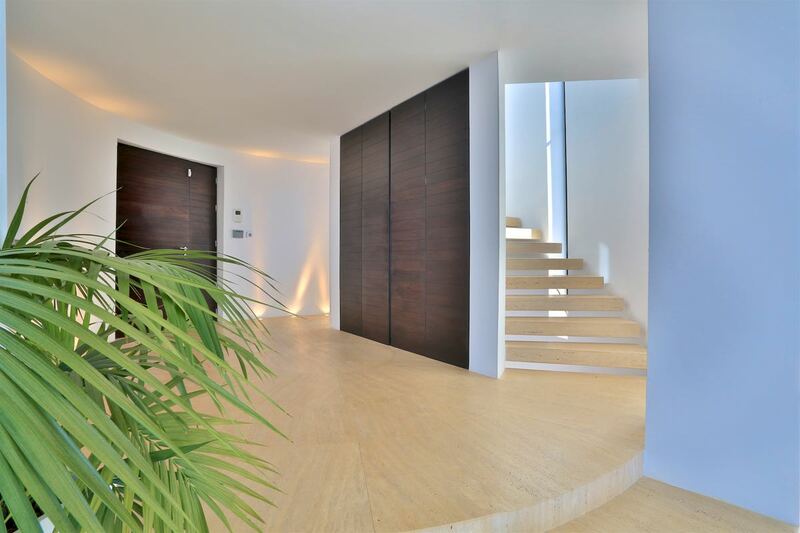 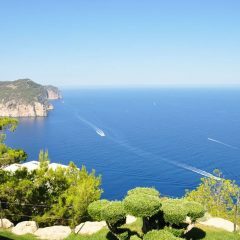 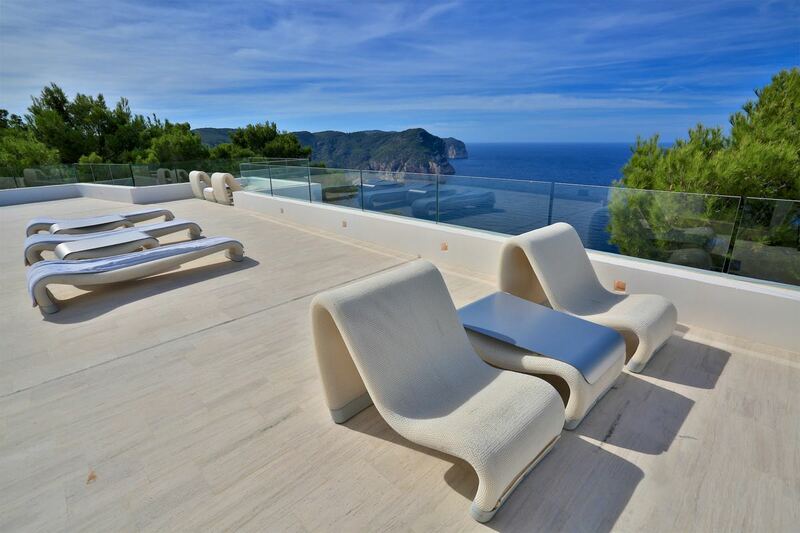 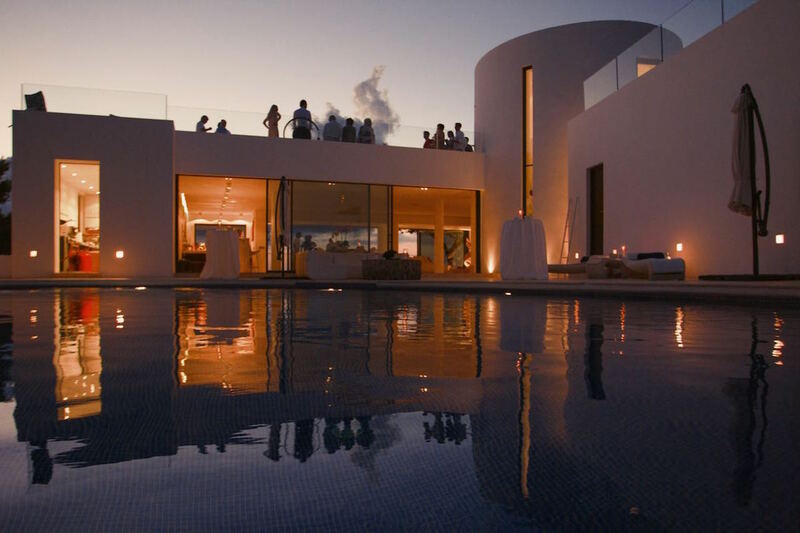 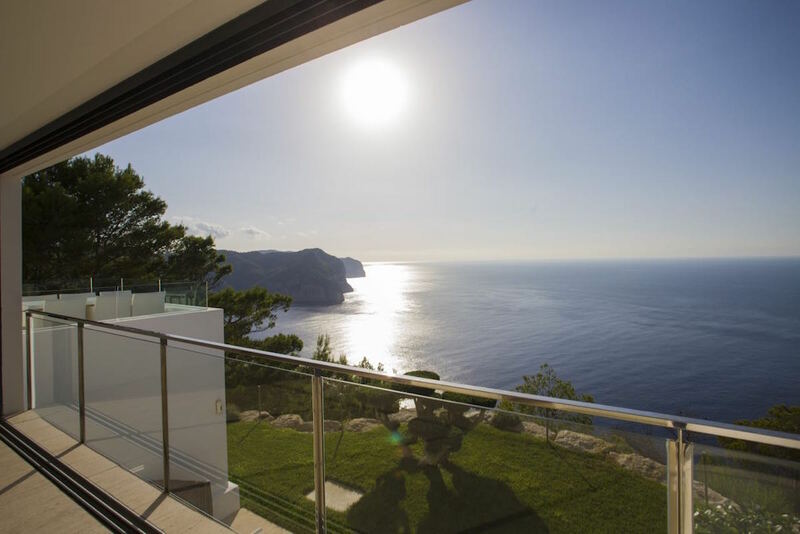 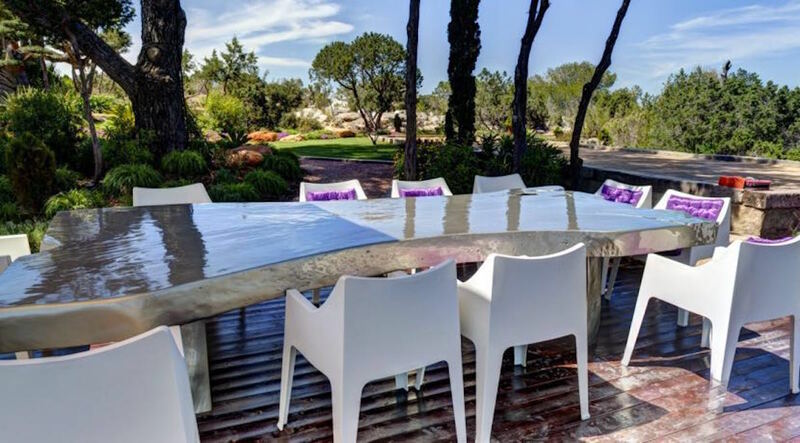 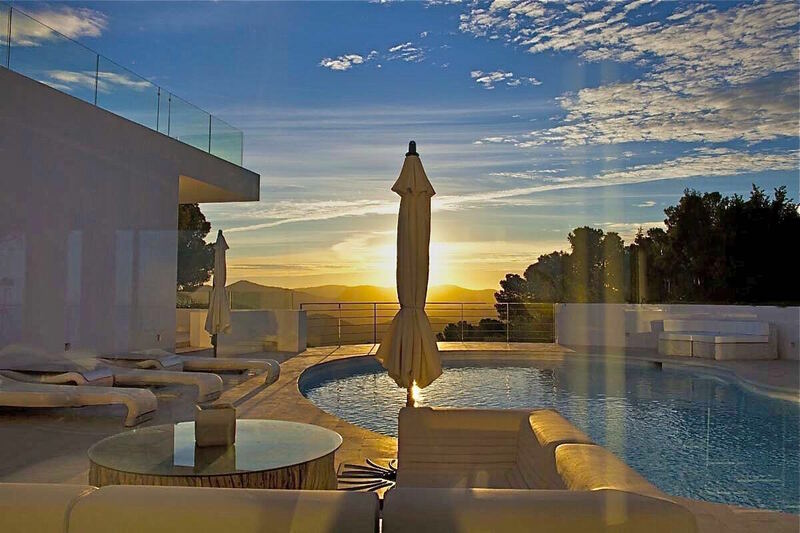 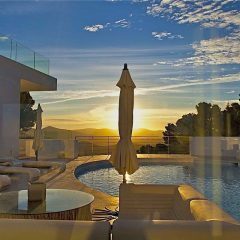 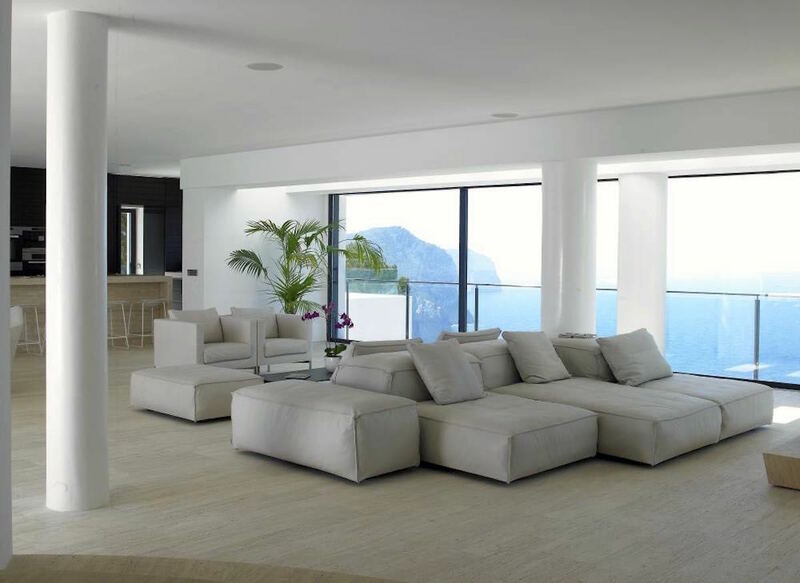 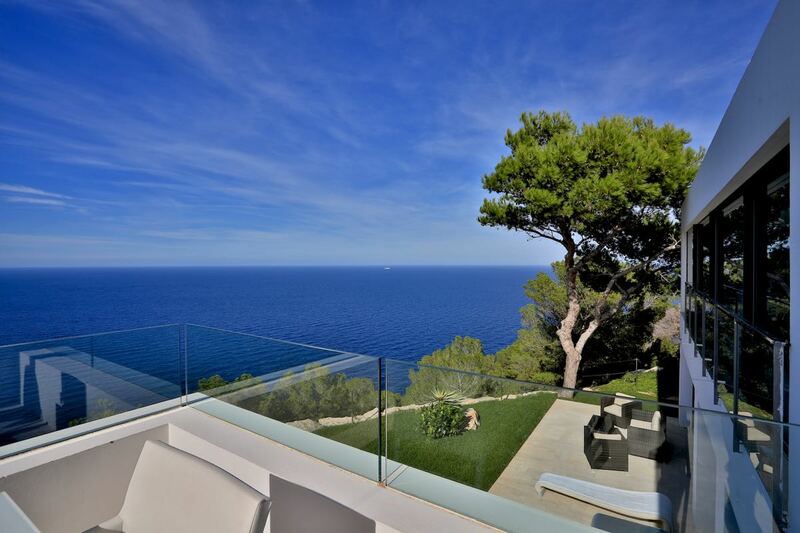 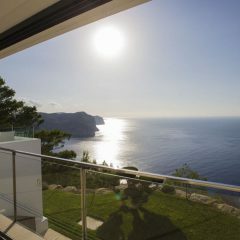 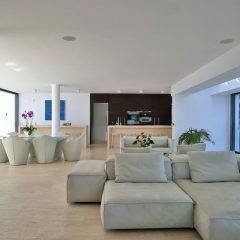 The Villa Freedom has undoubtedly one of the most beautiful panoramic views of Ibiza and offers total privacy. 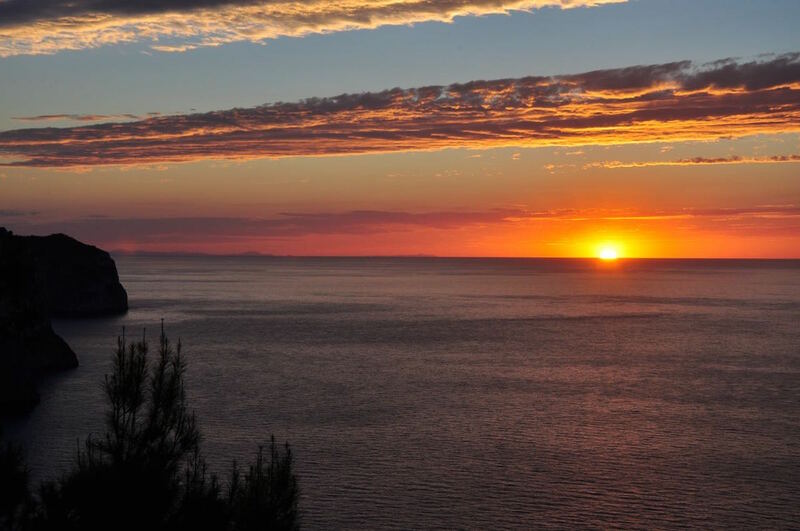 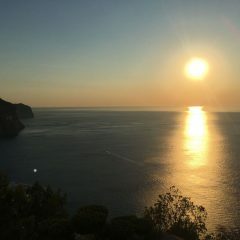 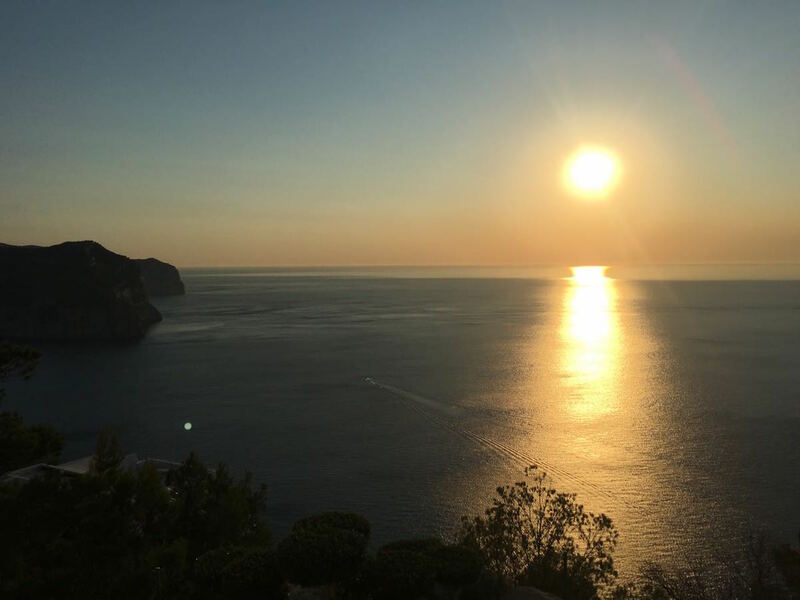 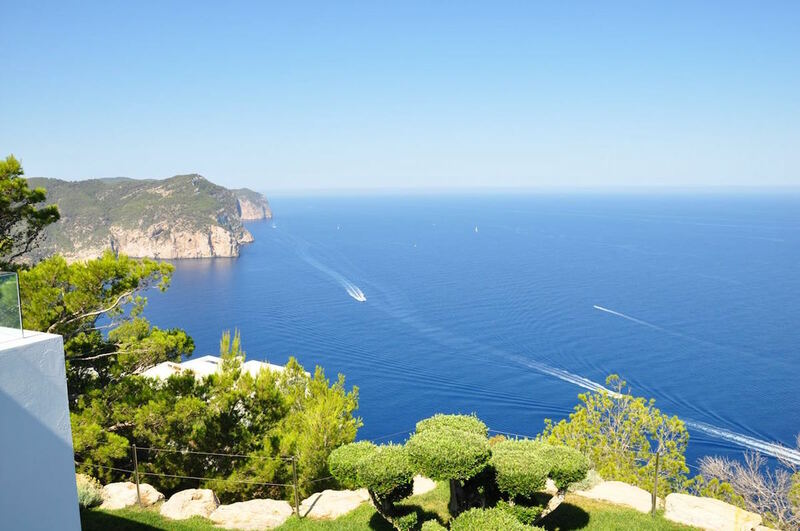 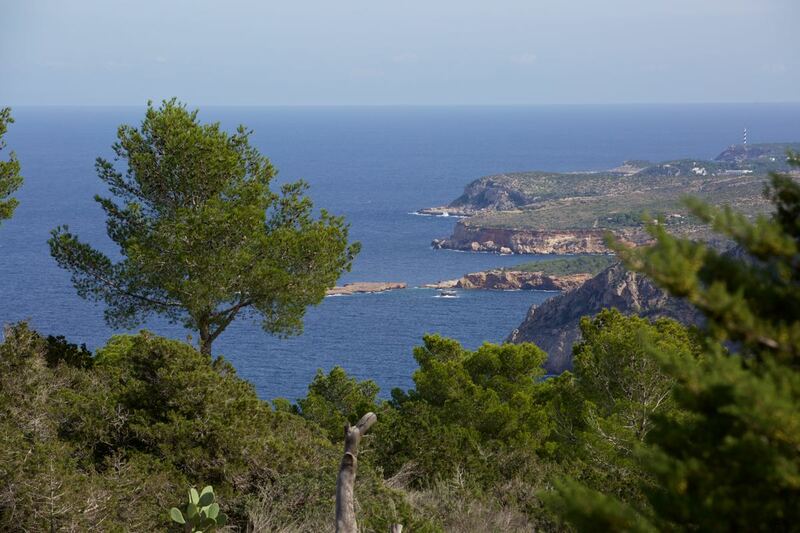 On serene days, even Mallorca and the mainland of Spain is within sight, breathtaking! 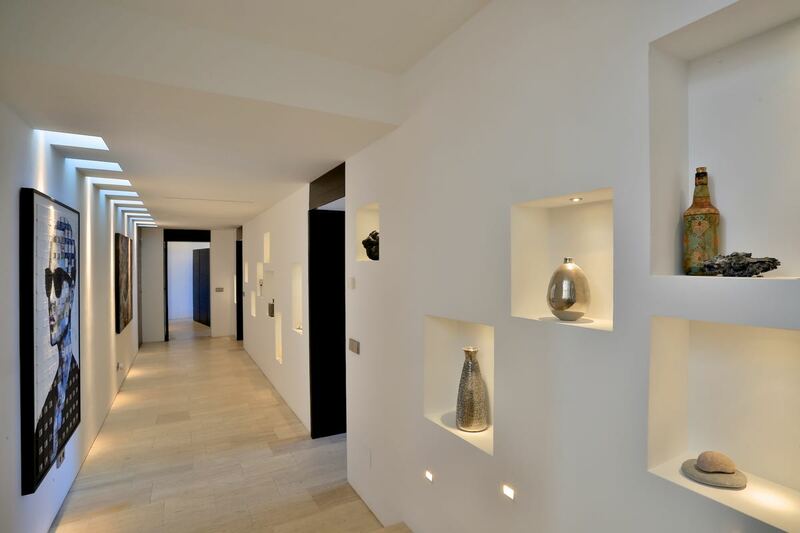 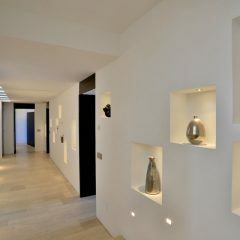 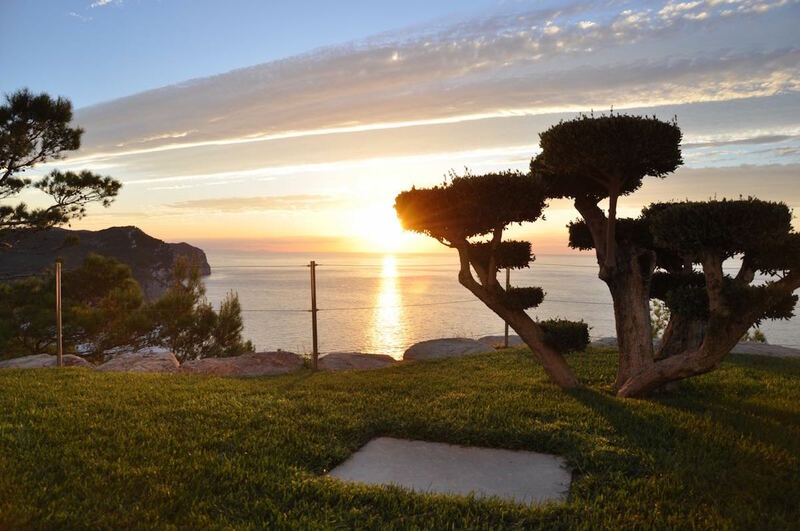 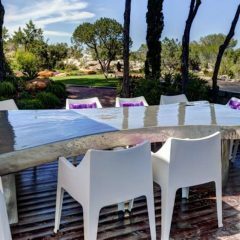 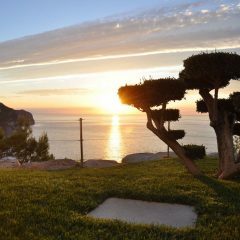 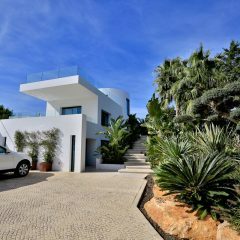 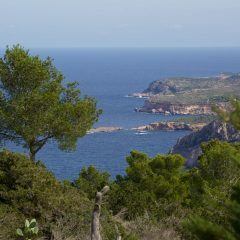 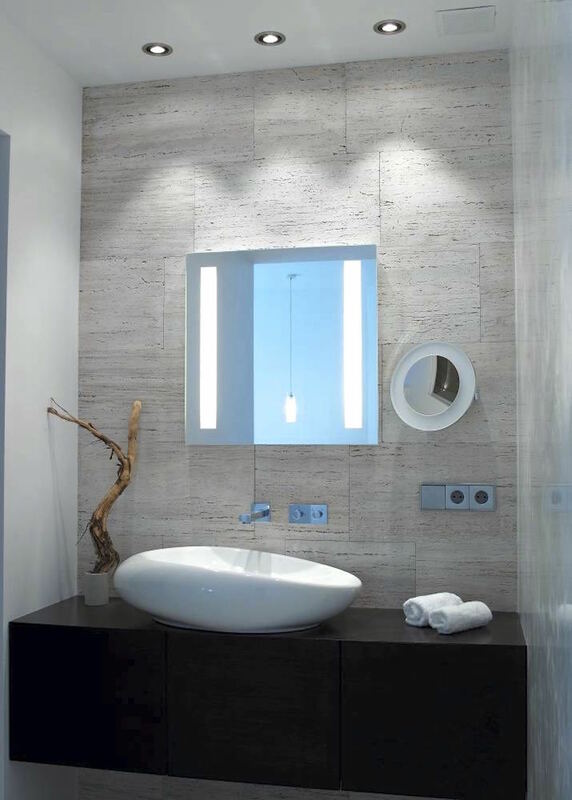 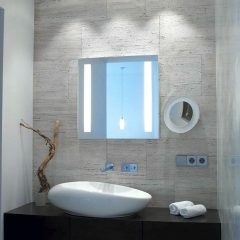 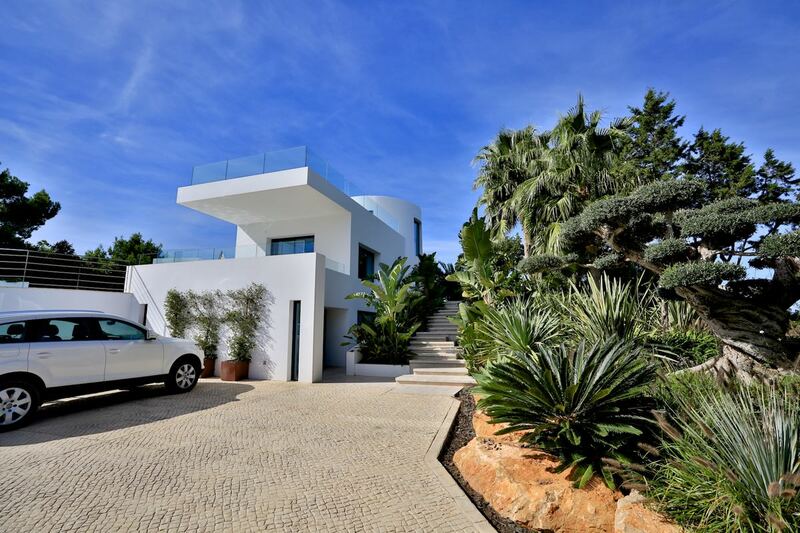 The villa is located on the land near Na Xamena in the north of Ibiza. 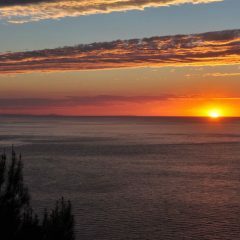 The village of San Miguel and the beach resorts of Puerto San Miguel and Benirras are very close by. 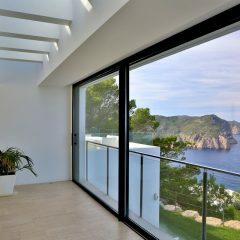 The villa is modern, bright and light flooded with large glass sliding doors, so you never have to give up the overwhelming view. 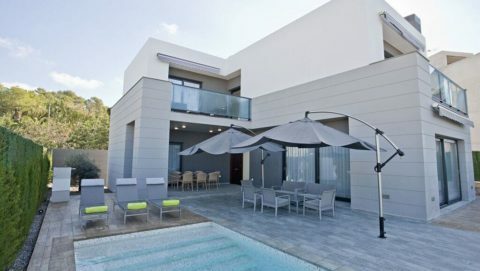 The indoor terrace has a lovely pool and a large outdoor dining area with BBQ. 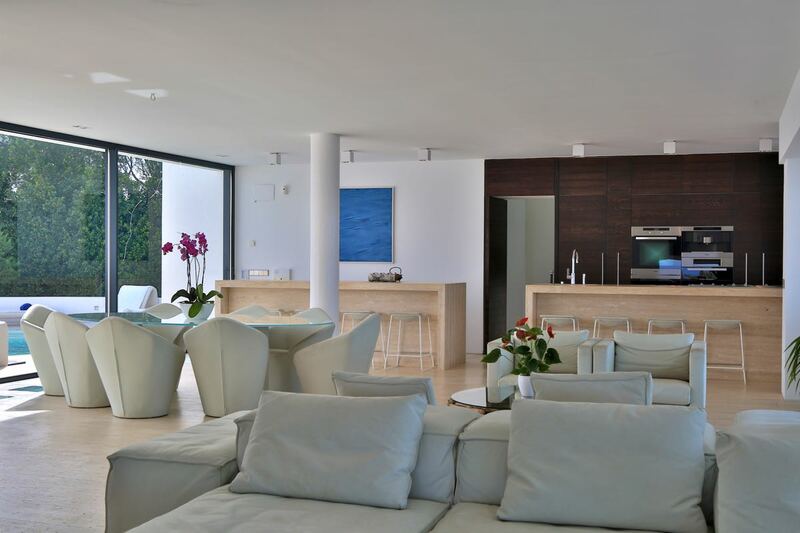 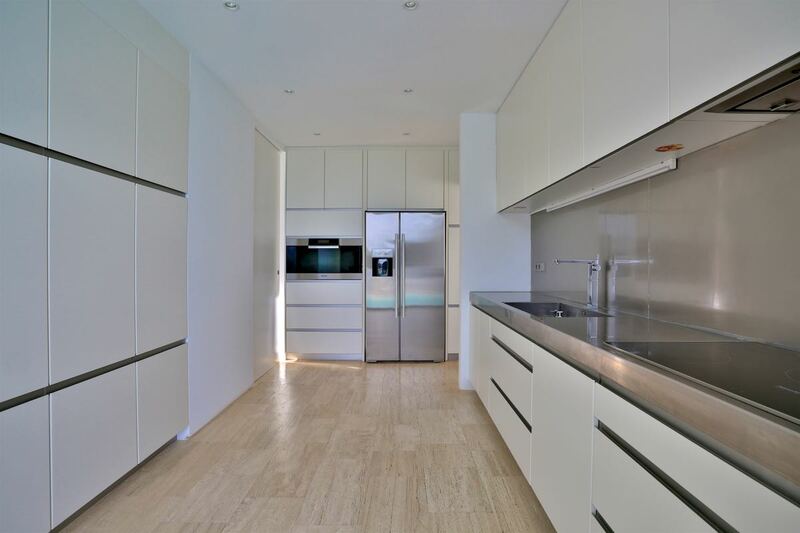 The spacious living room with an open kitchen invites you to cook together. 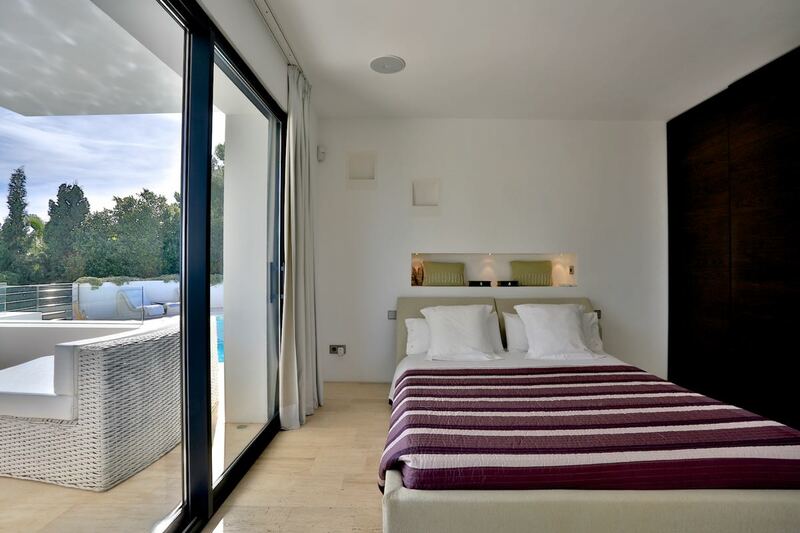 The house offers five bedrooms with double beds and en suite bathrooms. 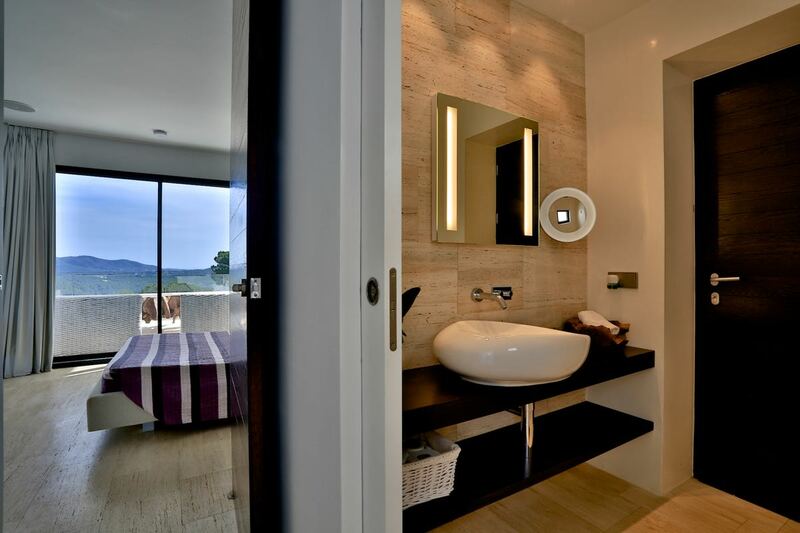 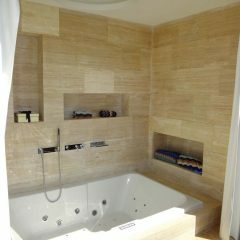 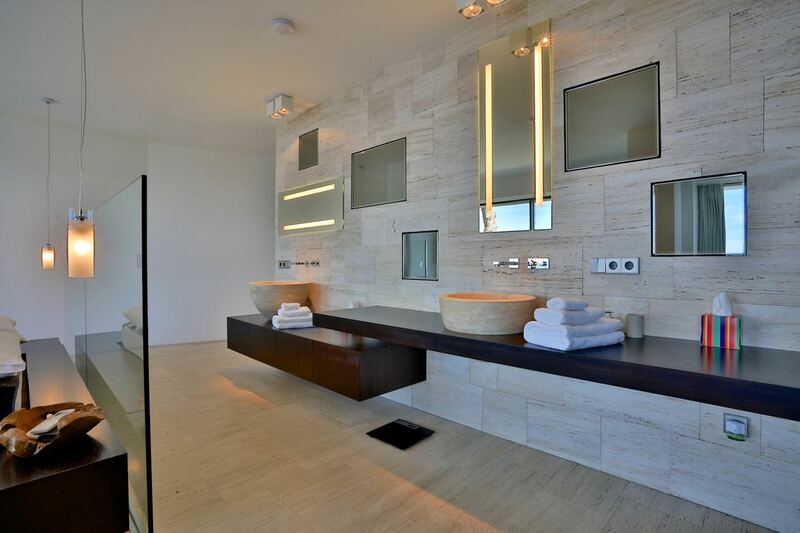 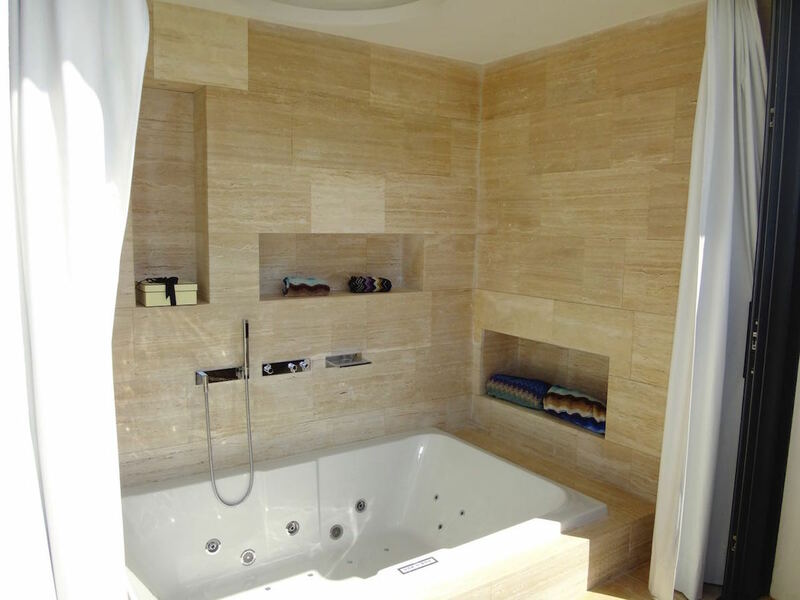 The main bedroom also has its own jacuzzi, four of the rooms have their own terraces. 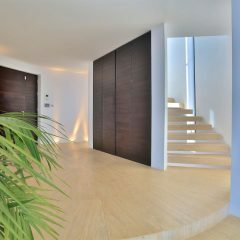 Two friendly housekeepers (one couple) live in an apartment on the ground floor. 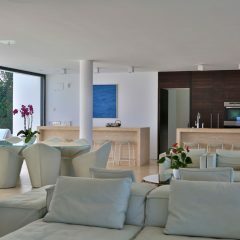 They do 6 hours a day on 6 days a week services like cleaning, breakfast up to (simple) meals for you (if desired).